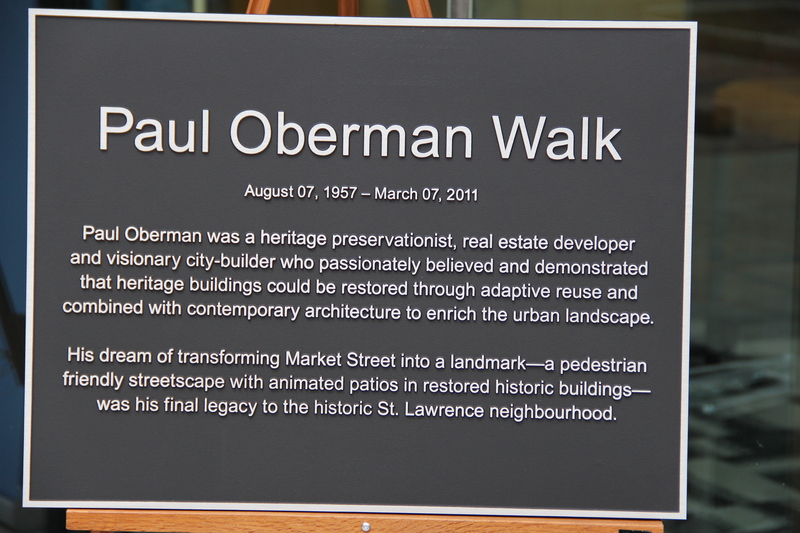 Wednes day, June 4, 2014 was the dedication ceremony of a special honorary name sign “Paul Oberman Walk” in honour of Paul Oberman. It was a gorgeous day and a large crowd had assembled for the ceremony. I was very honoured to have received an invitation as part of the press to attend the event. The completion of the Tastes of Market Street project is the result of the incredible vision of late developer Paul Oberman of Woodcliffe Landmark properties. His vision was to maintain the historic integrity of the old buildings while bringing them into the current era. 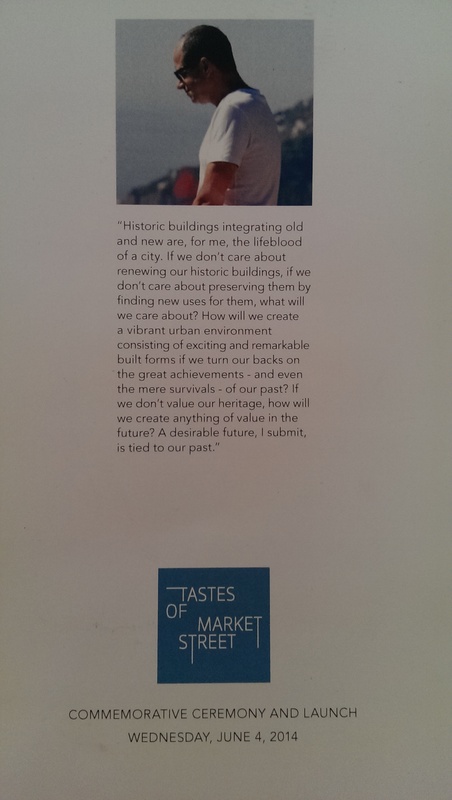 His passion for heritage work has resulted in the painstaking restoration and revitalization of a row of heritage buildings along Market Street (along the west side of the St. Lawrence Market). 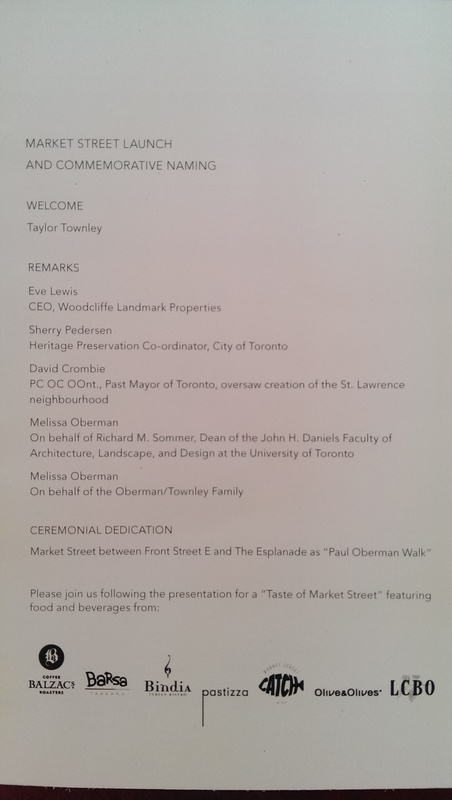 His dream for Market Street has been overseen by his wife, Eve Lewis, CEO of Woodcliffe Landmark Properties. Designed by Michael Taylor of Taylor Smyth Architects and heritage work by restoration specialists Goldsmith Borgal and executed by builder Den Bosch & Finchley, this strip of dilapidated buildings has been transformed into a beautiful, pedestrian-friendly destination in the heart of Toronto. 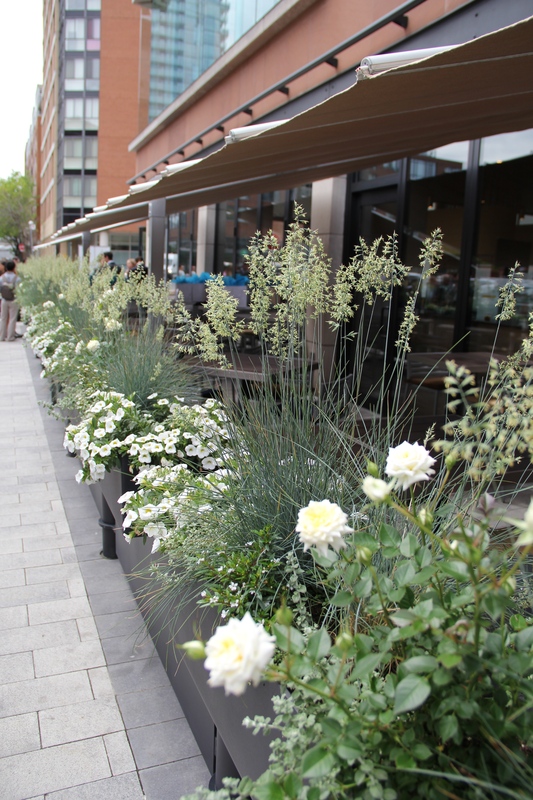 The sidewalks have been widened and the curb eliminated, making this street pedestrian-friendly and allowing for the inclusion of patio space for each of the seven unique eateries. NOTE: Most of the information below came from the press info swag bag that I received after the event. The photos are those that I have taken myself. For the locations that I have not been to yet, I have put their description in “quotation marks and italics”. I have been to a few of the restaurants and will be posting my reviews in the near future. 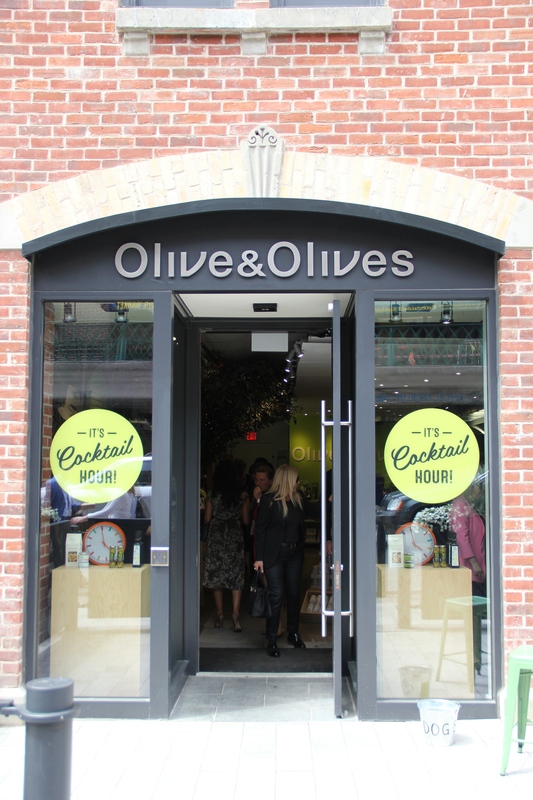 Of course, Olive & Olives has quickly become my go-to shop for many of my pantry needs. “A 5,000-square-foot Italian eatery devoted to providing passion-infused plates of fresh, homemade-style comfort food. “The concept here is all about food that’s natural and unprocessed,” says owner Paolo Paolini, founder of venerable Toronto dining spots Splendido and Mistura. “We’ll do pizza with interesting toppings and a crisp, light, digestible crust. Pastizza will also boast an exclusive wine list courtesy of co-owner Thomas Baker, proprietor of Thomas George Estate winery in Sonoma, California. 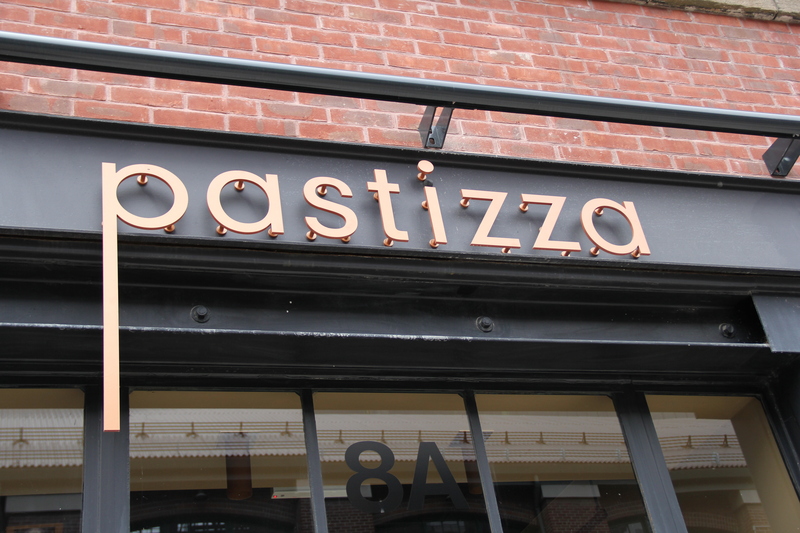 As of June 4, 2014 Pastizza is scheduled to open in another 2-3 weeks. “Market Street is the newest location for Balzac’s Coffee Roasters, a local coffee roasting company whose interiors are infused with the charm of a Parisian café. 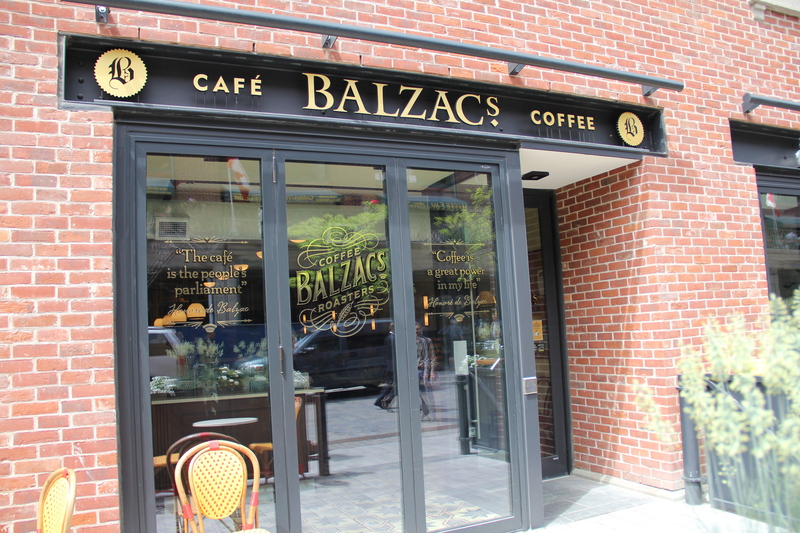 Located in this beautifully restored historic building, with a generous patio, Balzac’s will offer their fresh roasted coffee beverages and beans, Mariage Frères teas, organic milk/cream, and pastries made by local bakers that embrace their same commitment to quality. “Two favourites among our signature drinks are Café Nordique (a café au lait with honey and cardamom) and our Hot Citro Booster (fresh squeezed lemon and ginger juice with maple syrup, turmeric and cayenne) is great alternative to coffee” says company owner Diana Olsen. “Evolution Food Co. offers market-inspired salads and hotboxes, a selection of breakfast offerings, cold-pressed juices and smoothies, and a fresh Greek yogurt bar. The eatery specializes in lean meats and poultry, fresh fish, fruits and vegetables, and homemade dressings and vinaigrettes, all of which are handcrafted in-house. Evolution Food Co. was founded on the belief that food should both taste good and do the body good. 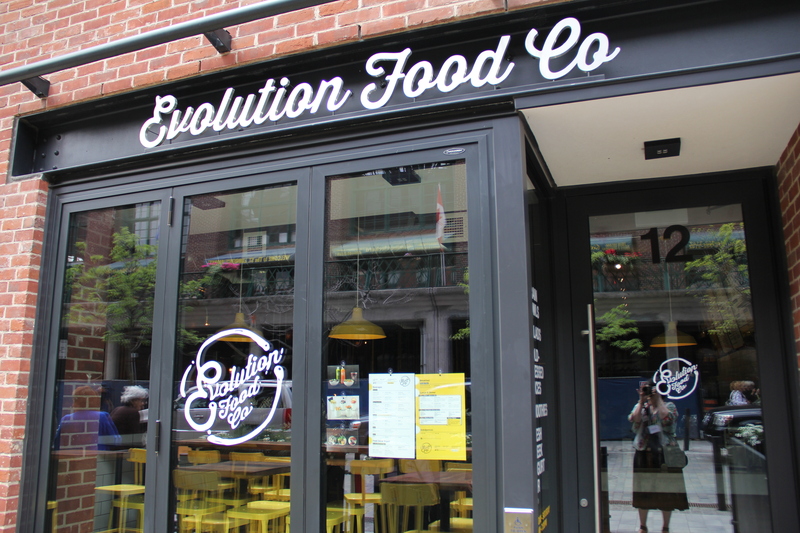 Market Street’s destination for a rapidly prepared, yet healthy and delicious hand-prepared meal, Evolution Food Co. is the place to go to load up on whole grains, lean proteins, fresh fruit and veggies — meals that both inspire and nourish. 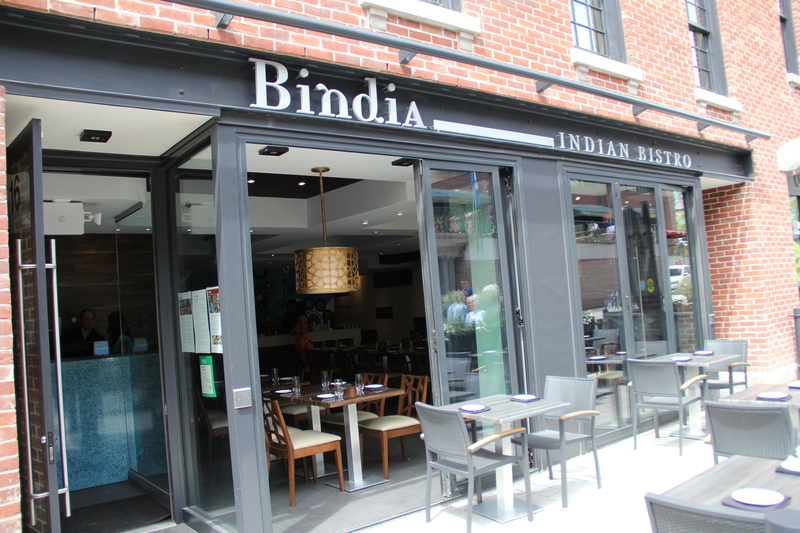 “Bindia takes a modern approach to traditional Indian cuisine, placing high priority on quality fresh ingredients and dishes prepared in-house and made to order. “We think Toronto deserves a great Indian restaurant, it is a multicultural city, and it should have the best Indian cuisine,” states owners Michael Kapil and Vik Mohan. Kapil was born and raised in Toronto and always dreamed of opening an Indian restaurant and this one is certainly a delight to the eyes and the palate. The first restaurant to open on the strip (8 months ago) and well established. This summer will bring them a lot more traffic than the winter has. I’ve gushed about this second Toronto location in a previous post and can’t get enough of their amazing products. Olive&Olives is a very popular Montreal-based shop that offers olive oils primarily from Spain but also from Italy, Portugal, Tunisia and France. Market Street is the second Toronto location for this popular Montreal-based purveyor of estate grown, certified, extra virgin olive oil. The shop offers olive oils primarily from Spain, but also from Italy, Tunisia, Portugal and France. They also have a wonderful selection of vinegars, tapenades, spices, salts and olives ~ many wonderful staples for your pantry. Customers are encouraged to take the opportunity to taste a selection of oils and vinegars. Try before you buy!! “While paying tribute to Barcelona and the concept of Tapas, Aras and Executive Chef Michael Smith have evolved the concept to the reflect the diversity and creativity of Toronto by removing all borders and limitations and delivering “Worldly Tapas”. Barsa’s unique concept and inspiration was derived from one of the Partners Aras Azadian and his experience living in Barcelona. 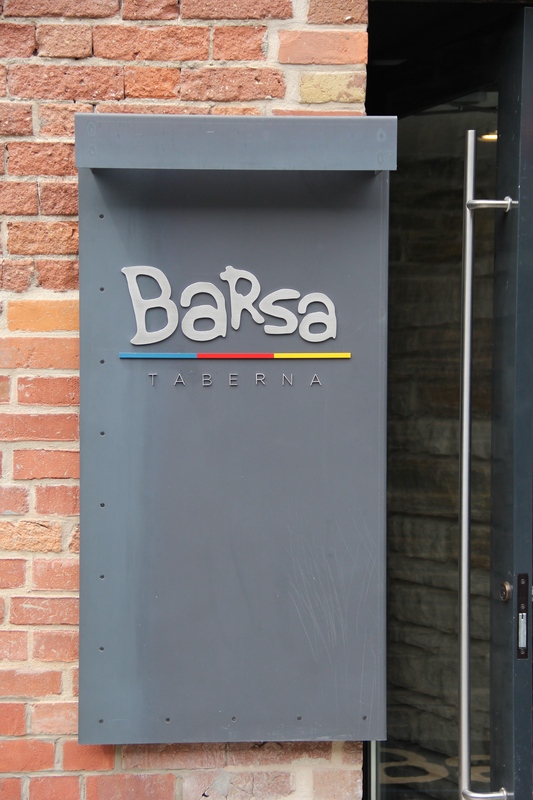 Barsa Taberna was designed and delivered by the vision of John Tong and the Tong Tong team; it will be managed by G.M. Romy Farhadi and the 15 group hospitality consultants. At the time of this event, Barsa Taberna was only open for 8 days. Review to come!! Thank you Mr. Oberman for having the vision…. 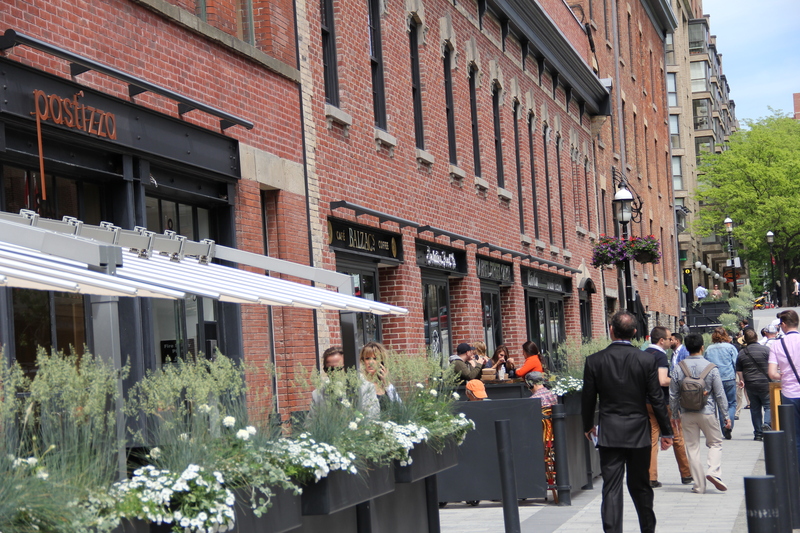 Take a stroll down Paul Oberman Walk next time you’re in the St. Lawrence Market neighbourhood… you will be amazed by the incredible changes!! Posted in local events, local storesTagged eateries, Market St., Paul Oberman, restaurants, reviews, St. Lawrence Market, TorontoBookmark the permalink.